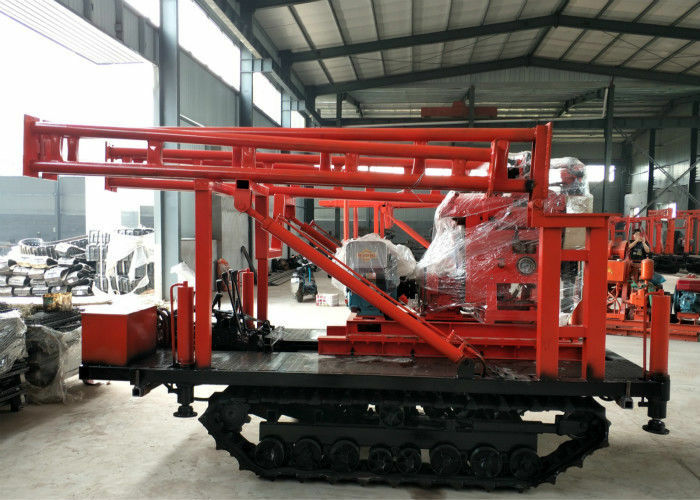 XY-2 core drilling is a new drilling rig developed to meet the increasing demand of both the users and the development of geological industry. It is applied to geological engineering, hydro-geology well and large-diameter engineering. Its drill bit is mainly diamond and tungsten-tipped ones. The XY-2 diamond core rig is light weight and easy to transport. It adopts Deutz F3L 912 diesel engine or 22KW electric motor and its speed range is wide. Thanks to the arrangement of its rope, its winch can avoid the rope's intertwining and slow down its wear. When running at the high speed level, its transmission belt can make the diamond core rig soft in the uneven formation and therefore reduce the risk of damage and mechanical failure. 1, With hydraulic feeding device, high drilling efficiency. 2, The rotary torque large hole diameter. 3, Equipped with ball card clamping mechanism, which can realize non inverted pole, high efficiency. 4, The rig has the advantages of compact structure, small volume, light weight, strong decomposition, easy to handle.